Now is the time of year when high school students across the country will begin hearing from colleges and universities that they hope to attend. While this can be a very exciting time for families, it can also be very stressful, bringing into sharp focus the cost of higher education. Just like retirement, it’s never too early to start saving. But a bit of strategic planning along the way can make the difference between saying “yes” to the acceptance letter or having to say “no” because the money simply isn’t there. It’s likely your student is going to be doing some test preparation for the SATs and/or ACT tests. While he is learning how to extrapolate the theme of a reading passage, you can spend some time learning about the different tuition assistance options that may be available to you. Many communities and organizations offer both academic and needs-based scholarships for area students. Rotary clubs, religious organizations, community service-based foundations, and corporate-sponsored programs are among the many places you can find money to subsidize the cost of a college education. Also, be sure to thoroughly review the tuition assistance options that may be available to your student at the college or university they hope to attend. According to the most recent available data, for the academic year 2014-15 some 66% of students paid for college with the help of grants and scholarships. Of that number, 57% of financial aid was by way of a grant, and 34% was by way of federal loan. Scholarships and grants are generally considered gifts and do not require repayment. Financial aid, on the other hand, is generally treated like a loan and is subject to both interest and repayment. Financial aid can come from a federal loan, a loan from the academic institution, or a bank. If you are supplementing your savings with loans or grants, make sure you understand the obligations that may be attached to the aid package. 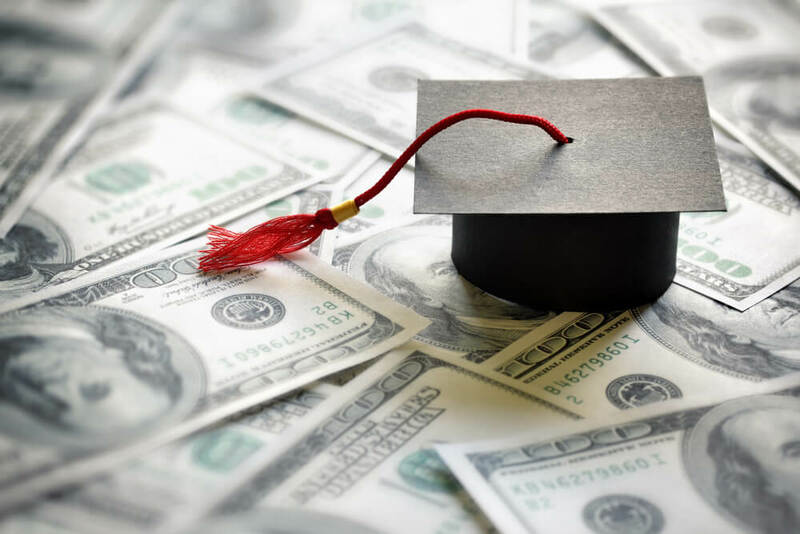 Tuition payments made to secondary education institutions may qualify for tax credits or tax-deductible status, depending on individual circumstances. The American Opportunity Tax Credit and the Lifetime Learning Credit may apply based on income and certain qualification standards. Furthermore, in addition to tuition deductibility for dependents, you may also qualify for a deduction of interest paid on student loans. Whether you file a credit or a deduction, you should discuss your individual situation with your tax professional to ensure that you are maximizing all the options that may be available. If you’re feeling overwhelmed with both the cost and complexity of options available to fund your child’s college education, call Mooney Lyons to set up an appointment. We understand the challenge of both getting into and paying for school, and our knowledgeable representatives can help you prepare a financial strategy that makes sense for your family. Content in this material is for general information only and not intended to provide specific advice ore recommendations for any individual. Mooney Lyons and LPL Financial do not provide tax advice or services.